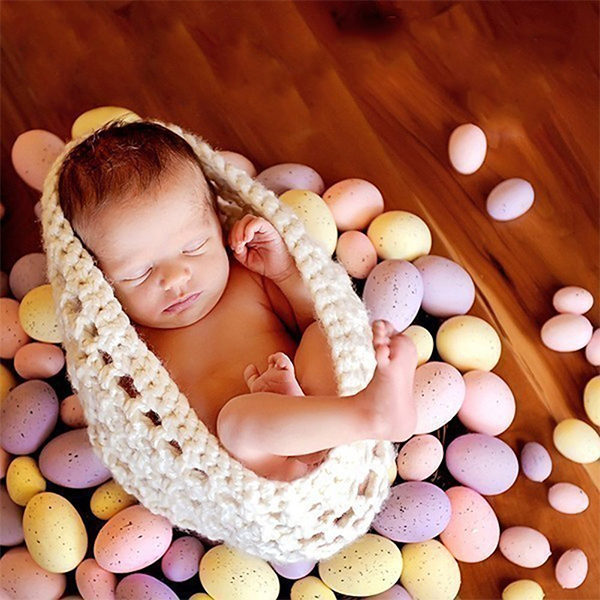 The right photo props can upgrade your newborn baby shots from “just cute baby photos” to some truly moving images that even a Grumpy-cat-type of person would not resist. 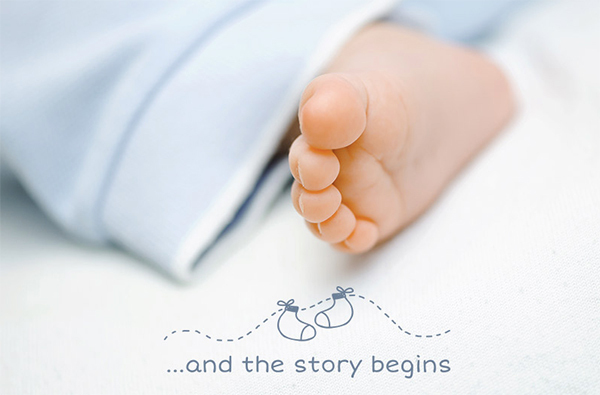 Every photo shoot is a whole new experience of capturing a baby’s and parents’ personalities. There are endless ways to make your photo session unique and beautiful using various photo props. However, try to keep it simple, you don’t want a prop overshadow your main subject. 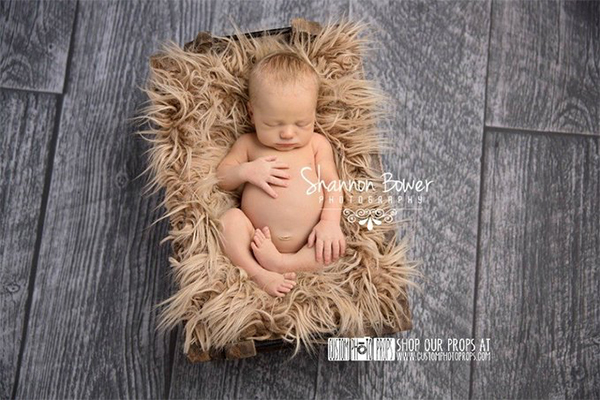 In this showcase you’ll find crafted newborn, baby and toddler photography props including stretch knit wraps, faux fur posing rugs, hand made knit and crochet baby hats, headbands, blankets, cocoons, hammocks, and other newborn baby photo props for some really memorable sessions this spring. 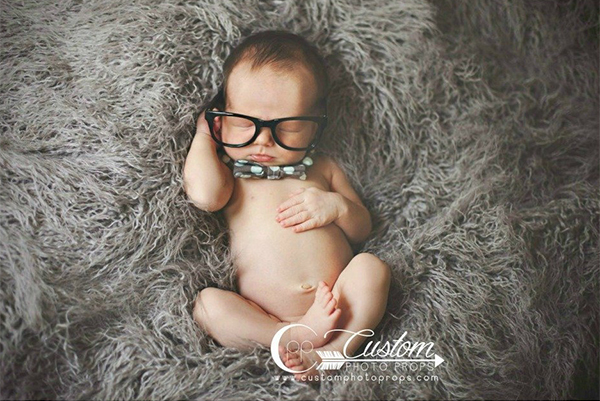 Remember, newborn babies are extremely delicate and tiny human beings, so their comfort must be your main priority when choosing accessories for the photo session. These loosely knit, stretchy, and versatile wraps are easy to use and can be completely swaddled around newborn baby for the perfect first photo! An amazing softness of this fur will give important comfort to a baby while setting your equipment and let the baby sleep. This hat is just perfect for your little newborn’s first photos! It includes a cute brown teddy bear hat. 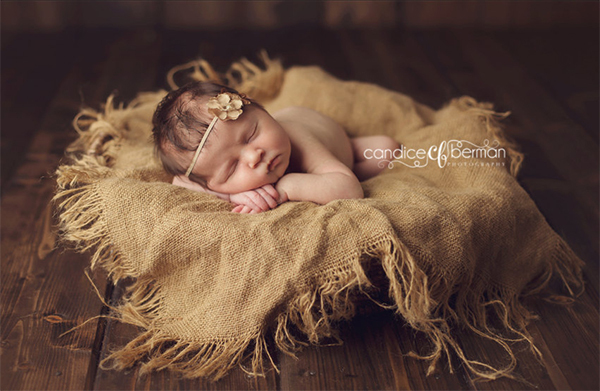 This cute brown newborn hammock photo prop is handmade using a super soft thick material. 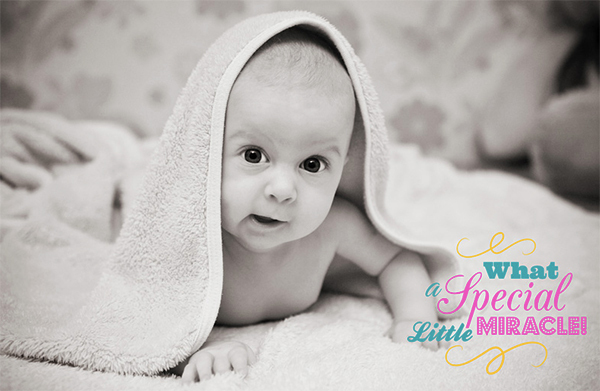 It is the perfect gift for baby showers and photo sessions. This gorgeous parfait pink newborn photography egg cocoon bowl is made from a super cozy crochet cotton. 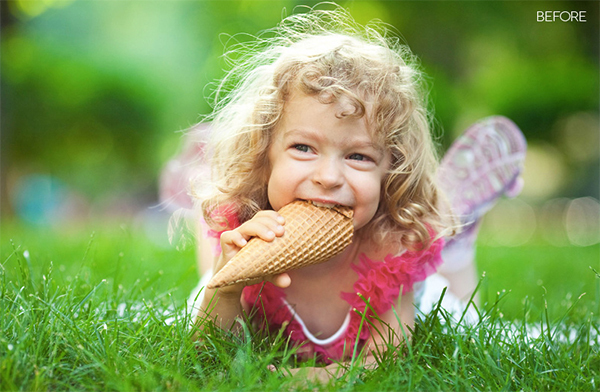 It can be a great addition to your Easter photo session. This is a burlap frayed mini blanket. The size from frayed end to frayed end about 24 x 24. If layering and texture is your style, this is your best choice. 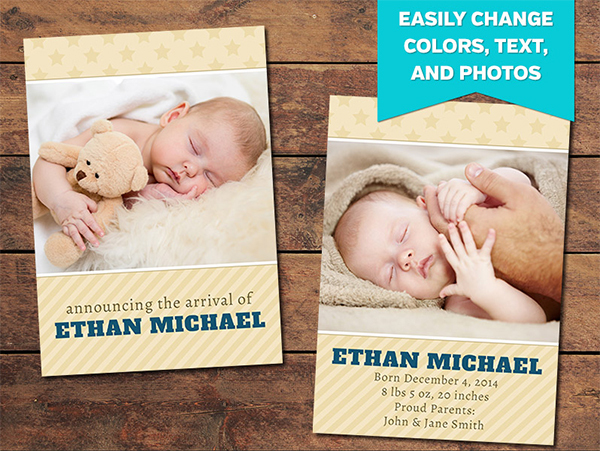 Ideal for newborn photos! 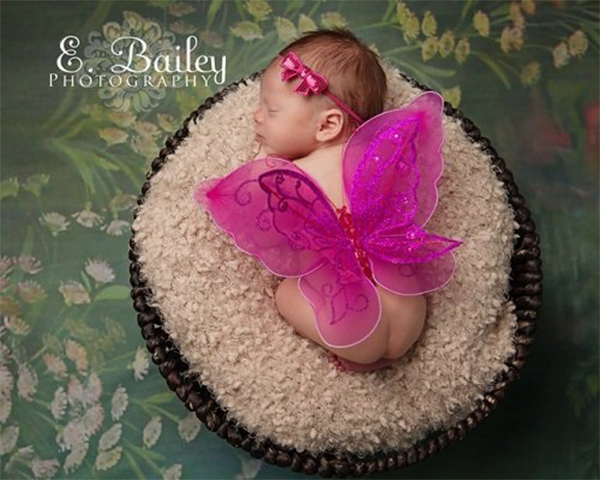 Small and light, these little butterfly wings are the perfect size for your newborn photo session. They can be not only used as photography props but also for a fun dress up day and your little princess’ party as decorations! This gorgeous mini crown measures 2 inches on the base and 1.75 inches on the height. It’s made of sparkly and metal base. 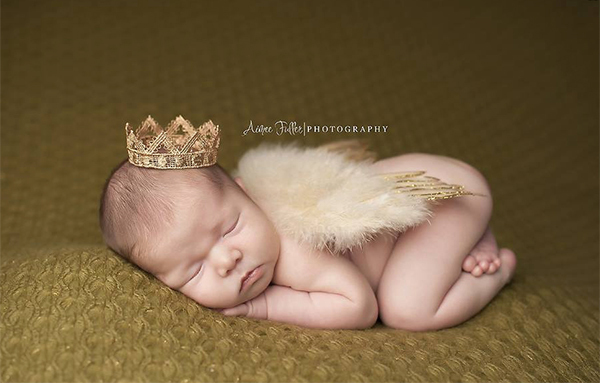 These angel wings are great for infant and newborn photo sessions. They are also perfect as costumes. Made of soft, creamy feathers dipped in sparkles. 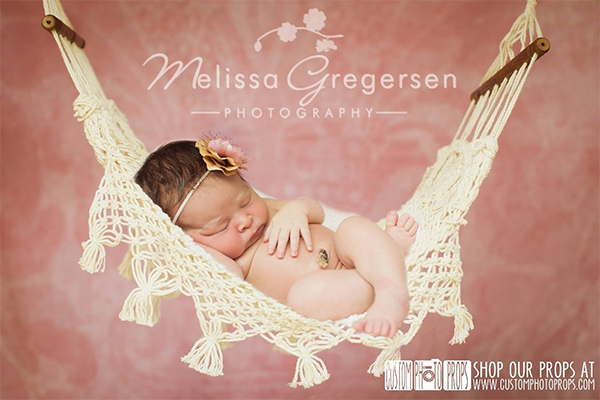 This adorable creamy white newborn hammock photography prop is made using cotton. 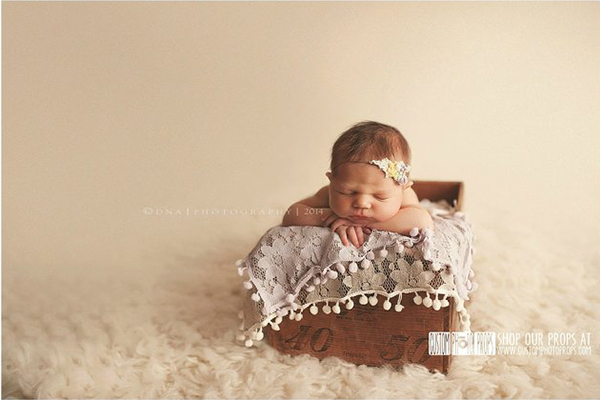 It is the perfect baby photo prop for your sleeping newborn. 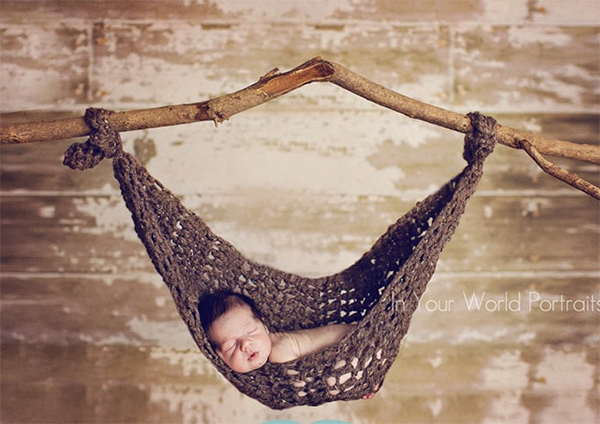 This hammock is also can be used for nursery room decor. 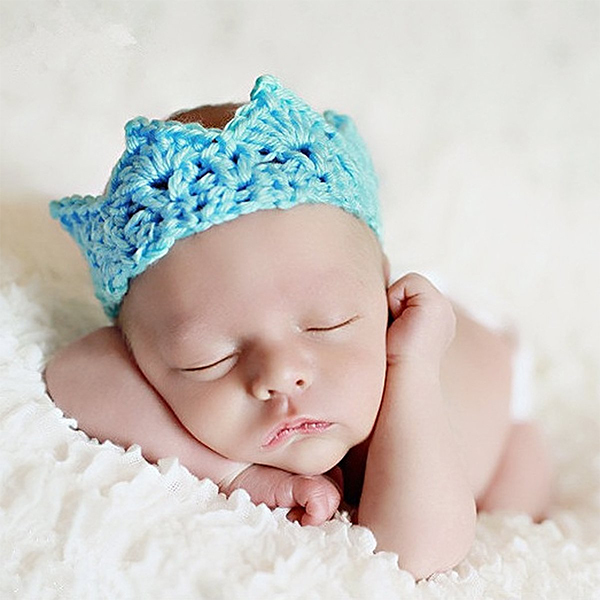 This awesome soft knit crown will make your baby feel like a king/queen on a photo session. It is a perfect gift for parents too. This shirt is a great photo prop for a spring session for a baby girl. It can be used for babies from 0 up to 12 month. It goes with a flower headband. 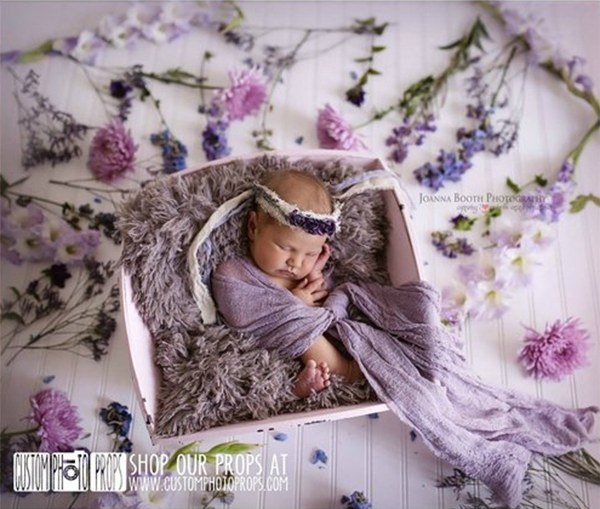 Rose lux baby wrap is extremely stretchy and soft for your baby feel comfortable during the photo session. This faux fur fits perfectly in baskets, layed flat, or trench bowls the babies just snuggle right down into it! Faux is available in 12 colors to choose from. 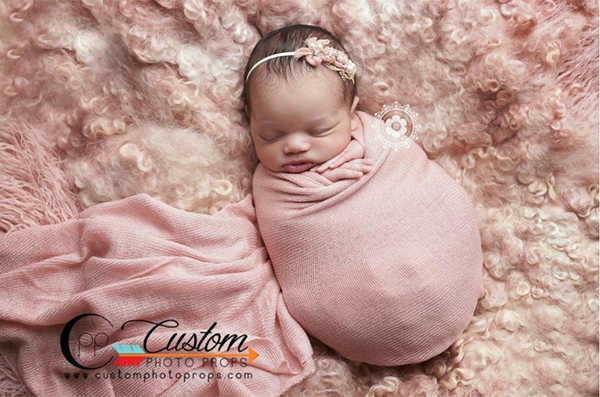 This beautiful space grey curly faux fur is so nice and plush and is the perfect touch for your newborn baby photography session! It’s dimensions are 20″ x 32″. This faux fur has a 3.5 – 4 inch pile. 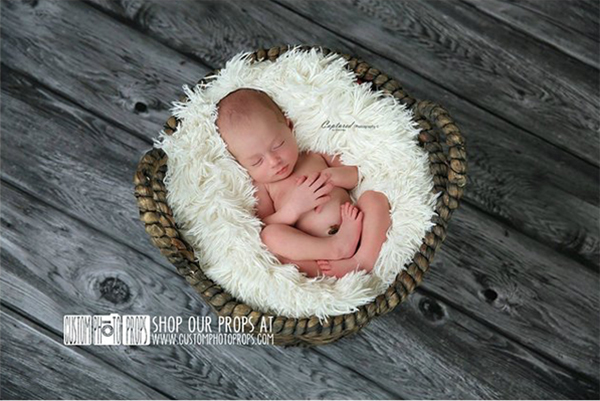 Made of soft white feathers, these angel wings are ideal for infant and newborn photo sessions! They are also great used as costumes. 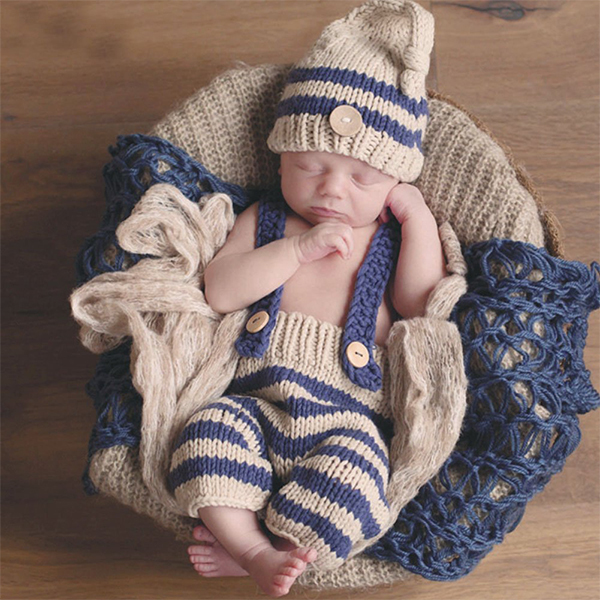 This gorgeous blue and beige newborn diaper cover and button hat set is made from a super soft wool. Both pieces have button embellishments. 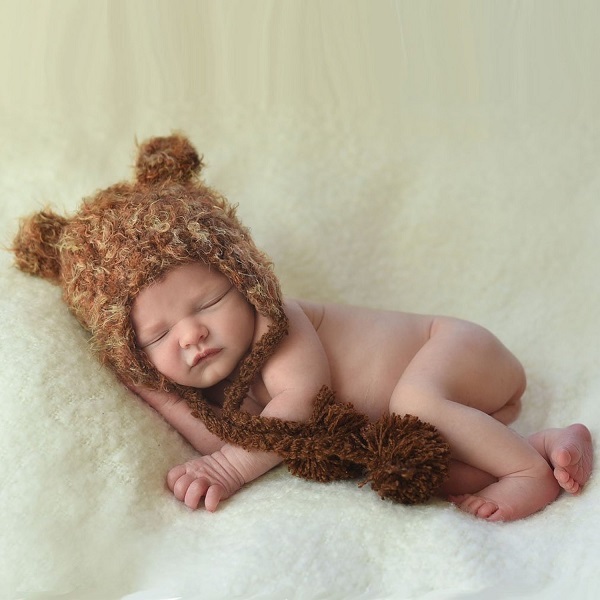 This faux fur is hypoallergenic and soft which is extremely important for babies. 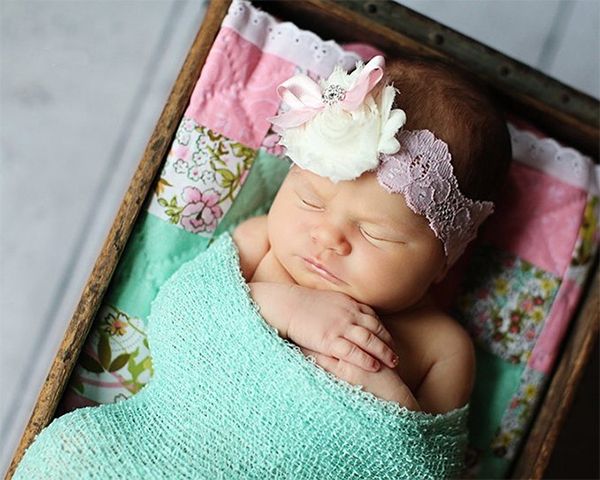 These vintage inspired floral lace layers will be a perfect addition for your baby photo session. It’s available in different colors. 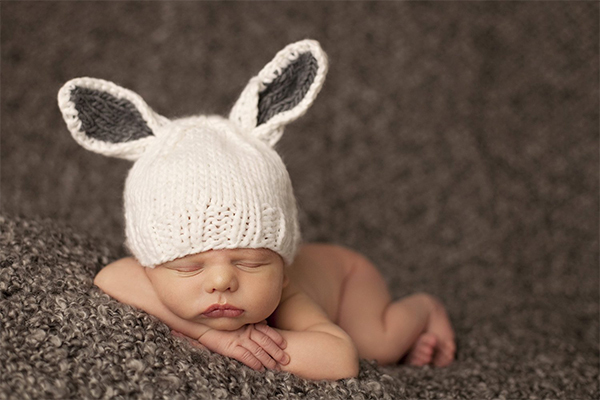 This amazing newborn white and brown bunny hat is made from a super soft wool. 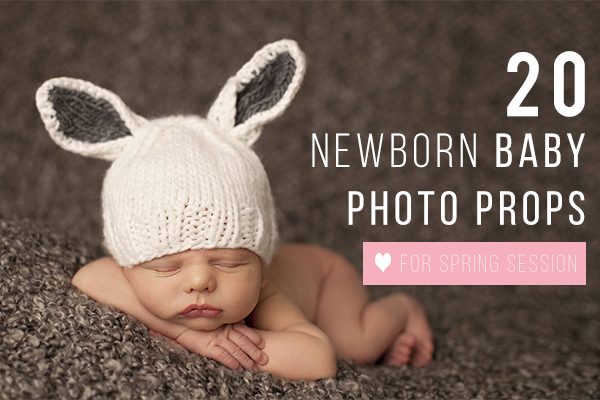 It is the perfect hat for your newborn baby Easter photography shoot. What a photo session without cool Lightroom presets and photo overlays? 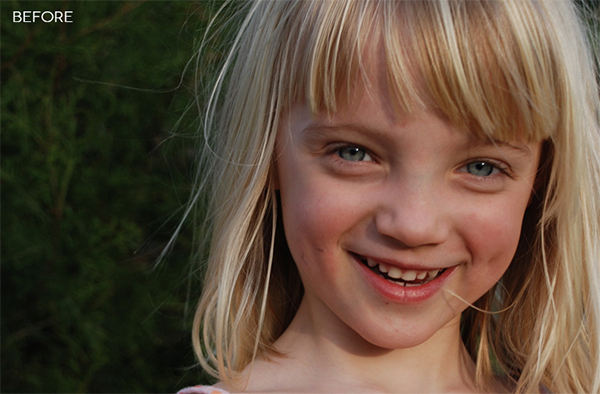 Here are a few amazing resources which may come in handy. You can grab all these tools in pack with thousands of other great Lightroom presets, Photoshop actions & photo resources for just $99 vs regular $5000. 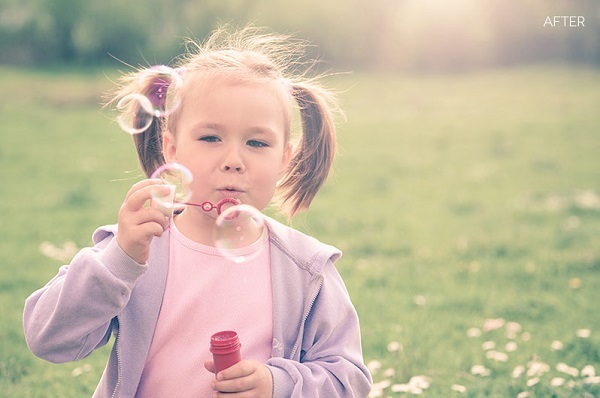 Use this amazing Photography Bundle while it lasts! 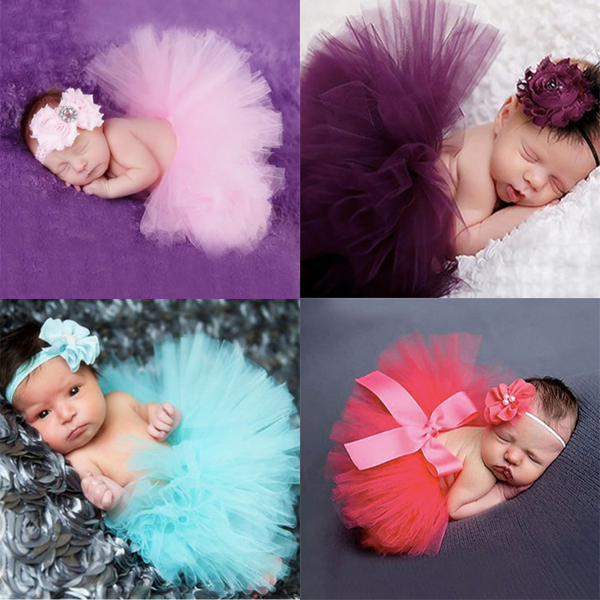 Which photo props for newborn sessions do you like most? Let us know in the comments. And stay tuned! More inspiring posts are coming soon!